But other rules are more like folklore and can be ignored or replaced with better versions. If you followed this rule exactly, it would imply that you needed to pay a bill as soon as you opened the envelope it came in. You would need to scan, file, or shred the bill right then, too. But it’s perfectly fine to place the bill wherever you put bills to be paid, and batch process it with others during some future planned bill-paying time. Similarly, if you’re straightening up a room, you don’t need to take each misplaced item to its proper home when you first pick it up. Rather, it makes more sense to accumulate all the items that need to be moved to other rooms and then do one trip to put them all away. The main idea here is to avoid picking something up, like a paper in your in-box, and putting it back without doing anything. Instead, determine the next thing you need to do related to that paper. For example, a bill that looks wrong might mean you need to check your files or make a call, so you’d note that next step and place the bill wherever it needs to go (in a to-do file of some sort, perhaps) to make sure you follow through. If it’s been awhile since you’ve used something, it’s certainly worth thinking about why. You may well decide it’s something you no longer need or want. But sometimes there are good reasons to keep things that haven’t been used for a year or more. Maybe you’ve put an activity or hobby on hold for family reasons (a new baby, for example) or business reasons, but you have every intention of resuming that activity or hobby in the foreseeable future. Or maybe you have something that only gets used for specific occasions, such as formalwear. If you haven’t attended a formal event in a year or more, that doesn’t mean you should necessarily get rid of the tux or the gown that you adore. I trust the medical professionals who suggest these rules, and I’m sure they work well for many people. But I ignore all of them, and I sleep just fine. As always, you need to figure out what works for you, which may involve breaking an organizing rule — even one that’s generally good advice. One of my resolutions for 2016 is to get a better handle on my time. I created this resolution because I noticed in the last three or four months of 2015 that the vast majority of my days were spent catching up or just going with the flow instead of actively participating and pursuing what matters most to me. It’s not that I was neglecting my priorities, rather that I was being passive about them. To help work toward my resolution, I bypassed traditional goal-setting and went straight for creating a list of to-do items. For my first to-do item, I wanted to track exactly how I was spending my time — from the moment I woke up in the morning until I went to bed each night. I grabbed a stopwatch and a notebook and recorded what I did each time I changed activities. Some things I left a little vague, such as “got ready for the day,” since brushing teeth and getting dressed aren’t things I’m going to remove from my daily routine. But for the most part, I kept detailed notes of how I spent my time like, “checked Facebook on phone” and “read 2 pgs. of a book while standing at bus stop waiting for son.” After a week of recording data, I felt that I had a decent idea of how I was spending my time (and I was bored out of my mind with writing down what I was doing). If this is your first time recording data about how to spend your time, you may wish to log your activities for two weeks because often the act of logging what you’re doing influences how you spend your time. Once the novelty of tracking what you’re doing wears off, you’ll get a better idea of how you’re really operating. My second to-do item was to sort through the logs and label the activities. I chose three colors of highlighters and swiped a color over each activity. Yellow were for activities fully in line with my priorities and my time commitment to those activities or actions taking care of my responsibilities (like depositing money into my retirement fund — it’s not a task I particularly enjoy, but it’s one that takes care of a responsibility that is in line with my priorities). Pink highlights were for activities not in line with my priorities or actions that were in line with my priorities but taking up more of my time than I wanted (like staying in touch with my family and friends is a priority and reading and posting to Facebook is one of the many ways I fulfill that priority, but I don’t need to check in with Facebook four times a day when two times is sufficient). Green highlights were for things in line with my priorities that I wanted to spend more time on than I was (one example that fell into this category was that I was lifting weights three times a week but I wanted to start training for a triathlon, so I needed to increase my numbers and types of workouts to better reflect this priority). My last to-do item was to create and begin to follow a new schedule that more accurately represents my priorities. I chose to make a weekly calendar, broken into 30-minute increments, to help me with this process. In addition to chores, wake up and bed times, and most of my life’s set activities, I’ve mapped out blocks of time that are more open ended but still have direction. For example, after cleanup from dinner but before it’s time to start getting the kids ready for bed, there is usually an hour of “free” time. Each night I’ve made notes on the calendar for ideas of things to do during this hour that reflect my priorities. Instead of plopping myself down in front of the television (which is not a priority for me on weeknights), I now have a list of things I can do that I know bring me much more happiness than squandering that time (like working on a puzzle with my kids or having a living room dance part with them or playing flashlight tag in the yard if the weather is cooperating or Skyping with my parents). Since creating the new schedule, I’ve been much happier and feel more like I’m actively participating in my life. I’m not rigid with the schedule — if something falls through the cracks or I come down with a migraine (like I did on Saturday), I’m not freaking out about abandoning the schedule for a bit. It’s there more as a guide than a law, and this attitude is working well for me. How do you ensure that your time is focused on what matters most to you? Do you think a similar schedule would help you to feel happier and more comfortable with how you’re spending your time? A few changes might be all it takes to get your life more in line with your priorities. I can still remember the very first book I bought with my own money. It was Stephen King’s Thinner, which I paid for with money from my paper route. Since then — and that was quite a while ago — I’ve continued to acquire books at an alarming rate. Like many people, I have a difficult time letting go of books. Some books are like old friends. Have you ever come across a title you read years ago, and find yourself suddenly smiling and reminiscing? I sure have. That sentimental connection has the possibility of making the parting that much harder, but, instead of letting it, I use it as motivation for purging. I recognize that a lthe next person who has the book will experience that same feeling. Knowing I’m sharing that emotional response with someone else makes the parting easier. Next, sort the books you have that you plan to sell: author, genre, etc. At this stage it can be fun to invite others to participate, like neighbors, family, or friends. A joint book sale or a large donation can be a lot of fun. Pricing the books is your next activity. There are a few things to keep in mind here, like condition, paperback vs. hardcover, and original price. Grab yourself some pricing stickers, or simply make a sign that covers what you’ve got, like, “Hardcovers $2, paperbacks $1.” Looking on Amazon.com at the used book prices from non-Amazon sellers can also give you a good idea of how much people are willing to pay for specific titles. Displaying your wares offers more challenges than you might think. People want to get a good look at what you’ve got, so if you stack your books neatly, expect potential customers to root around and mess them up. Lay them out on a table so the cover can be seen and the book easily picked up. Also, think like a book store and put your best options aside with a label like “Our Picks” to draw attention to them. Will you offer volume discounts? 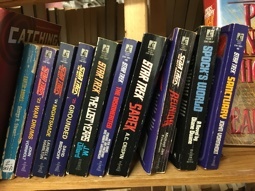 I recently attended a book sale at my local library, where I found several old Star Trek paperbacks for $2 each. I offered to take the lot, which got the price down to a buck a book. If you goal is to offload a large number of books, this could be the way to go. Finally, have a plan for the leftovers and the money you make. Many libraries will take book donations for their own book sales. Also, you may decide you want to donate the profits from your sale to your local library or another good cause to help you fight the urge to spend your profits on even more books to fill your shelves. Good luck with your book sale or giveaway and remember, you’re giving the next person the opportunity to fall in love with that title, too. I had a number of apps designed to help me buy from companies whose actions align with my values. Similarly, I had an app to help me select seafood that isn’t being overharvested. While this all sounds useful, I realized I never used these apps. I tend to do any research before I go shopping, and therefore I don’t need an app on my phone. And if I buy the same things repeatedly (the same brand of toilet paper, etc.) I don’t need to research each individual purchase. Also, some of the apps were just too complex to be helpful. Having used a smartphone for a number of years, I realized I just don’t take notes or write documents on my phone, so there’s no need to keep an assortment of apps for this purpose. I tend to get my news from a few specific sources, and I kept the apps that I use for that purpose. But I had six apps from newspapers, magazines, and news-focused websites that I never looked at, so they are gone now. I also don’t read books on my small-screen smartphone — I save that for my tablet — so I deleted the book-reading apps, too. Instapaper and Pocket are both apps for saving things from the web to read later, so I didn’t need both. Since I happened to start using Pocket and was satisfied with it, I deleted Instapaper. I also noticed I had two apps that seemed to serve a similar purpose, but when I investigated I found one was intended for California residents and one was intended for residents of a different state. Since I live in California, that’s the one I kept. I do have two apps for the weather, but even though they are similar I use both of them at different times, so I kept both. One app I had was related to a conference I went to about nine months ago. I sure don’t need that app any more. I had two apps that I didn’t even recognize. One wound up being an exercise app and one was a news/social media app. I’m sure they sounded good at some point in time! But I’ll never use either one, so I deleted them. The results: Once my apps were cleaned up, it was easier to organize them on my phone, just as it’s easier to organize all sorts of things in our homes and offices once the clutter is gone. I notice the difference every day, so I’m glad I took a bit of time to do the cleanup. If you do a similar uncluttering, you may see the same benefit. I’m also saving space on my phone, which leaves me room to add things I might want — more music or podcasts, for example — in the future. Again, this is like eliminating other clutter: It makes room for new things to enter your space (if you so desire) that align with your current needs and tastes. Recently, I was bemoaning the busy parent life: scouts, ballet, after-school clubs, friends, homework, and all the other things that make scheduling crazy. It’s so easy to make a mistake — forgetting an activity or to pick up a kid — when there’s so much going on. During this conversation, a colleague pointed me toward Cozi. It’s a digital family organizer with mobile apps that can be used for free (though there is a paid “Gold” version that I’ll discuss in a few paragraphs). I’ve only been using it for about a week, but it’s quite encouraging. The main feature in Cozi is the calendar. You can set one up for each family member, all color-coded and tidy. It’s easy to see who has what happening and when. Additionally, each family member can update his or her own calendar and those appointments automatically show up for everyone else on that account. It will also import Google calendars. There’s more than calendars in the app as well. A favorite feature of mine is the grocery list. I often get a text from my wife asking me to pick up this or that, which I’m always glad to do. 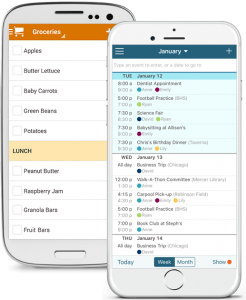 Cozi makes this easy with a built-in shopping list feature that can be updated on the fly. For example, my wife can add a few things she’d like me to get on my way home from work on her phone, and the list is instantly updated on my phone. Pretty cool and nicer than a text. There’s also a to-do list and a journal. I haven’t used the journal much yet, but the cross-platform to-dos are very nice. The paid Gold version costs $29.99 per year and unlocks a recipe box, birthday tracker, notifications about new events, shared contacts, and removes ads. There are a few cons here, of course, and the biggest one is getting everyone in the family to agree to use Cozi and actually use it. Unless all family members are on board, it won’t be helpful. Also, and this is rather nit-picky, but it’s not very pretty. Function trumps form in this case, but it’s not awful when my tools to look nice, too. It’s quite useful and free, and for those reasons I recommend checking it out. My 10-year-old has taken to comic books in a big way. I never had more than a passing interest as a kid, but my son is a fan. What was once a very small collection of a few issues on his dresser has become a full-on collection that needs organizing attention. One note before I get too heavily into this topic: my son’s comic book collection bears no resemblance to the investment libraries that many older collectors have amassed over a longer period of time. For those folks, specialty materials and practices are required. 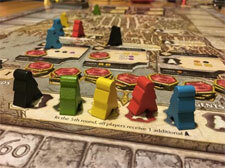 In this article, I’m talking about a casual collection that’s maintained for fun. I’m not talking about a super rare Batman comic that’s worth a pile of dough. In my case, these are low-cost comic books that a kid wants to read and show off to friends. A few steps will keep them enjoyable for years to come. Even for casual collections, I recommend keeping your comics in protective bags. These thin, plastic coverings will keep books safe from spills, dirt, and grimy “kid hands.” The three most common materials for bags are mylar, polyethylene, and polypropylene. For my uses, polyethylene bags are fine. 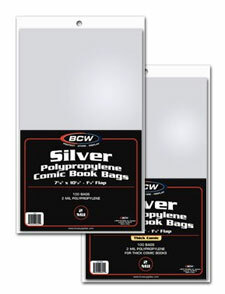 Reserve mylar bags for your more costly comics ($30+). Boards slip into a bag with the comics themselves and help prevent bending and corner wear. Just like with the bags, there are several types of boards. For a casual collection, I’d recommend .24 millimeter basic boards. They’re inexpensive and will do the job. Again, if the comic is more valuable, use a better grade of cardboard. Find some good, acid-free storage boxes and be careful about where you store them. A damp basement is a bad idea for storing cardboard. If you can find a storage spot that’s a moderate temperature with low humidity, you’ll be good. Also, make sure the box does not rest directly on the floor. Put it on a shelf, but not a high one. And don’t forget to mark the exterior of the box to list what’s inside. How the comics are organized inside the box is up to the user, but instilling a system will definitely save its user time retrieving and returning comics to the storage box. A trip to a few comic book stores might provide ideas for how to organize the issues. Could easily organize by publisher and then subdivide by series and issue number. If the collection is small, could organize by year or series only. And, in addition to bags and boxes, you can also buy dividers and label them to make the organizing system obvious. If you or your kid likes to haul a handful of favorite comics around to enjoy or share with friends, you might wish to invest in a comic notebook. The harder cover helps to protect the comics inside of it. This is also a great option for people who only have a few comics and wish to store them on a bookshelf. Sometimes things don’t go as planned. As much as you try to be a reliable, organized person and meet your commitments, sometimes life interferes. Would it help to know that members of Congress face the same challenges that you do? Derek Willis and Cecilia Reyes recently published an article on the ProPublica website entitled “The Dog Ate My Vote: How Congress Explains Its Absences.” Members of the U.S. House of Representatives can file explanations for missed votes (as well as noting how they would have voted, had they been present). As you read their explanations, I’m sure some of them will sound familiar. I regret that I was prevented from casting votes during last Monday night’s session due to repeated delays of a flight from Charleston, West Virginia, to Washington. The flight, originally scheduled to depart at 4:50 p.m., did not leave Charleston until after 9 p.m., more than four hours late. In that time, the airline offered numerous excuses — maintenance, delayed flights that had backed up the system. Numerous alternative departure times were put forward and then retracted. Within one four-minute span, the airline emailed four different departure and arrival times. At moments, the arrival/departure information was so confused that the airplane would have had to violate the laws of physics in order to abide by the airline schedule. This is an all too often occurrence and often maintenance delay excuses are used to cover crew issues and/or other problems. Needless to say, all passengers were inconvenienced and the airline’s explanations were wholly unsatisfactory. This flight delay prevented me from carrying out my Constitutional duty to represent the people of southern West Virginia. As Willis and Reyes wrote, “Voting is one of the most important duties of a lawmaker, and most miss very few votes.” Assuming you are also a person who meets your key commitments the vast majority of the time, just realize that sometimes — no matter how organized you are — things will go wrong. However, there are steps you can take to these situations to a minimum, and make it easier to recover when they do happen. Unexpected flight delays can ruin your schedule, but you can try to minimize the potential for problems by not booking super-tight connecting flights, and looking at airline data about which flights tend to get delayed when making your choices. If you regularly lose track of time, using timers and alarms can help. If you’re often on the go and don’t have a smart phone with an alarm function, a watch with a timer might help. Because you never know when an unavoidable delay might occur, it helps to have contact information (phone numbers, email, etc.) for anyone you might need to inform of any delays. And let them know as soon as you can, even if your revised plans are not yet firm, so they can adjust accordingly. Similarly, have everything you need to reschedule flights and hotel reservations: the confirmation numbers for your original reservations, and the phone numbers, websites, and apps you need to revise those plans. And when making plans, follow the advice of experienced project managers and include some contingency time in those plans — time added to the schedule to allow for the unknown issues that almost always occur. A schedule that assumes everything will go perfectly is often unrealistic and leads to last-minute scrambling when things go wrong. 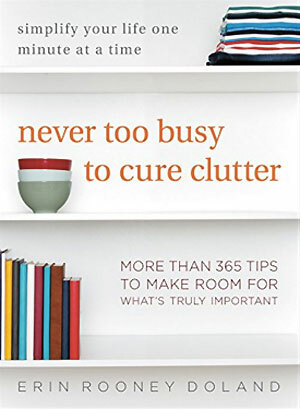 This is just a simple reminder that there are only a few days left to take part in the Unclutterer giveaway for buying Never Too Busy to Cure Clutter. Between now and February 16 (next Tuesday), if you buy my book and then come back here and fill out this fancy form, I will send you a FREE audiobook copy of my first book Unclutter Your Life in One Week. Buy one book, get a second (audio)book free! And thank you to everyone who has already bought the book and who will buy it in the future. You all rock and my hope is that this book helps you on your uncluttering and organizing journey. The iPhone app Timer from Contrast is a handy little utility that’s free on initial purchase. 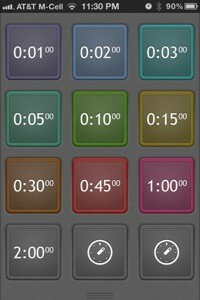 It lets you create several color-coded timers that can be launched, paused, and customized with a tap. It’s faster than using Apple’s Clock app and has earned a permanent home on my iPhone. I use timers a lot. Specifically, when I’m cooking, steeping tea, taking a nap, and focusing on work. Until recently, I used Apple’s Clock app for this and that app is okay but not nearly as robust as Timer. First and foremost, Timer allows you to run several timers at once. This is a huge benefit in the kitchen. Let’s say the potatoes au gratin need 45 minutes to cook, the broccoli 10 minutes, and the turkey 3 hours. Each can have their own timer and they can all run at the same time with this app. Yes, you probably have a timer on your microwave, but it’s only helpful if you don’t need to heat something up in the microwave while the timer is running. And the one on your stove likely only allows you to time one thing at a time, making you play a guessing game with two or three other items that might be cooking. Having multiple timers all in one place is extremely convenient. It’s useful to create timers for frequently-used durations. For instance, I steep my tea for 3 minutes and take 20 minute naps. Now each is a single tap away. When a timer is complete, your alert sounds, a message appears on the screen, and the corresponding button flashes. Also, the timer continues to count, but this time, forward. That way you can see how much time has elapsed since your timer expired. The advice “put things away, right away” seems so basic it feels almost ridiculous to share it on Unclutterer. We all know the benefits of spending a few seconds to put something away as soon as we’ve finished using it. So why is it this advice is often so hard to follow? My assumption is that there are two reasons. First, human beings will almost always choose the path of least resistance. It’s just how we’re wired. Putting a book back on a shelf is easy. Placing it on the coffee table is even easier. We choose the easiest option, even when it’s to our detriment. Second, we have a limited amount of self-control each day. Think of self-control like a pitcher of water you drink from throughout the day. At some point, the pitcher is empty, usually in the evenings. You’ve made tough decisions and focused all day and by the time you get home you’re just done. It’s so easy to just plop the book down when you’re tired. I’ve come to a compromise with the temptation to not put things away: the “outbox.” I’ve put one by the end table at the bottom of the stairs to the second floor, and another near the door to the basement. The idea is simple: If you’ve got something that needs to go upstairs, put it in the basket by the table. Likewise, if something needs to go downstairs, put it in that outbox. (Don’t put these boxes ON the stairs, though, as you want to be safe.) At some point, when the container is full but before it’s overflowing, you transport it and put everything away at once. It’s not perfect — ideally, I’d just put the things away — but it’s also a decent solution if you’re truly exhausted and putting things straight away isn’t going to happen: items are neatly organized, out of the way and ready to travel to their final destination. The things you buy and intend to return — but never do — are an all-too-common type of clutter. A recent research study gives some interesting insight into the psychology of return policies and provides one reason why some people wind up with those unreturned items. Somewhat unintuitively, a longer return policy can lead to fewer returns. “Since they don’t feel pressure to take it right back to the store, they kind of sit with it and live with it and say, ‘Well it’s not that bad,'” Freling said. So if you’re not sure whether or not to keep a purchase, it might be a good idea to give yourself a decision-making deadline that comes well before the store’s return deadline if that deadline is quite far out, like 90 days. Putting the return deadline on your calendar will help you remember to make that decision and handle any returns. For other people, the problem may simply be making the time to handle the return, especially if it involves going to a store that’s not nearby. And some people have a “returning-things” anxiety which makes any return difficult, even if the item is defective. If you know you’re not going to do the return, for whatever reason, it’s best to get rid of the item (by donating it or whatever) as soon as you determine it’s not going to work for you. Keeping it around just takes up space and reminds you of the wasted money, neither of which is helpful. Are you curious about what happens to things you do return? If you decide to return something you bought online, there’s a good chance it goes to a liquidator, not the company you bought it from or the manufacturer. Davey Alba wrote in Wired about what she learned from one such company, Shorewood Liquidators. More to the point, people most often return things because they are defective. Retailers simply don’t have the bandwidth to deal with the suppliers. “It would be very expensive for a company like Amazon to handle returns,” Ringelsten says. “They would have to sort it out — and there are a million manufacturers out there.” What’s more, he says, manufacturers usually supply items to retailers like Amazon through a contract where it’s understood that items that may be returned will simply be liquidated. If the items can’t be sold or recycled for a profit, they simply go to landfill. About 10 percent of what Shorewood handles falls into that category. That’s a lot, but less than you might expect given that so many returns are defective items. So go ahead and do those returns, knowing that many items will be resold at bargain prices — which might help someone who could really use a bargain purchase. That’s certainly better than having the items stashed in the back of a closet, unused.